This is part of a series of posts about what I learned from my first issue of Dungeon Magazine. For the whole series, click here. Except for the "protect" quests, the majority of the settings were classic dungeons like the sample dungeon in the old 1E DM's guide. And that was pretty much it. Things were very one dimensional and, other than the actual monster being fought, quite repetitive. Don't get me wrong... these missions were a ton of fun. I guess you'd call them the old "beer and pretzels" style games, or as close to that as we could get to that as 12/13 year old kids. 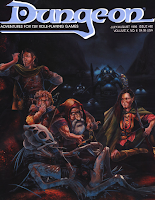 As the first adventure I ever read, as opposed to one that I made up myself, Shards of the Day completely opened up the door for me as far as mission complexity. The svirfneblin know a lot, but will only help if the PCs help them first. The myconids can be helpful but appear threatening, and not-so-savvy PCs can easily get killed if they attack instead of trying to communicate. The Shards of the Day are not just swords... there's another item that their employer doesn't mention. These aren't major plot twists. The point of the adventure is still to track down a set of magic items and bring it back to the quest giver, and the adventure doesn't stray from that goal. However, each part of the quest is more complicated than just killing something, finding what you were looking for in its loot, and taking it back home. Granted, the PCs could just go through the ruined city just killing everything they see, but they'll probably run out of resources quite quickly. The big revelation for me was the subtle complexity of these additions to the quest. The PCs were still primarily searching for items that were guarded by dangerous monsters. However, the multiple layers were a huge step. Gone were the days of the treasure being found in the last room in the bottom level guarded by the strongest monster. It is truly amazing how interesting a quest can become when it involves more than just making your way to the bottom of the dungeon. 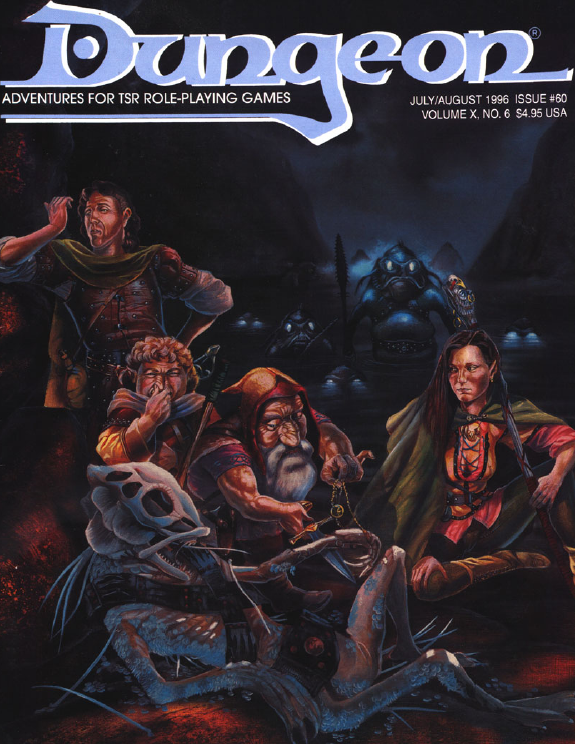 Shards of the Day taught me to make my players jump through hoops and clear all kinds of red tape before they got what they wanted... and my adventures improved because of it. I didn't need a new quest every single session anymore. I could create one or two big goals and then string them along with dozens of min-quests before they ever got what they wanted. Finding the treasure at the end of the "adventure" would never be the same for us again. Suddenly, things were much more difficult... and much more rewarding at the same time.